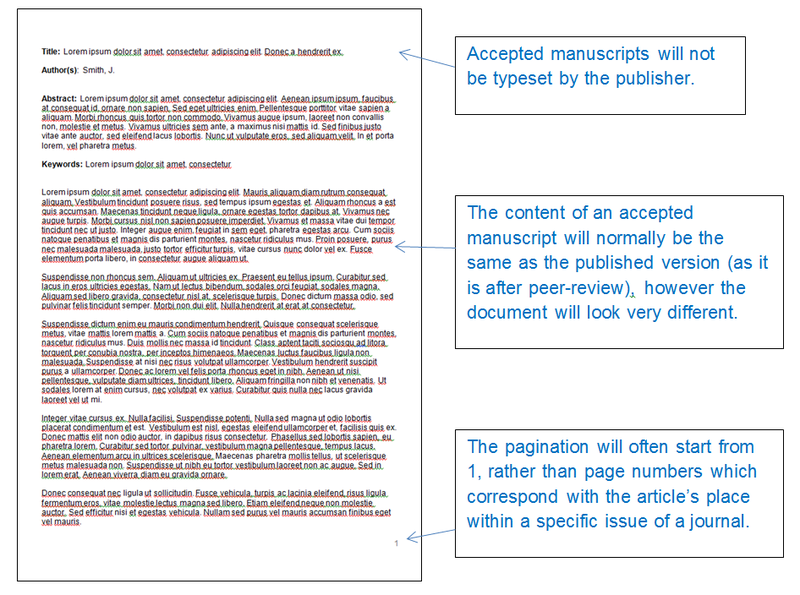 BRAD | REF Eligibility | Funder Compliance: What is an accepted manuscript? To comply with HEFCE’s open access policy for the next REF authors are required to deposit their publications into BURA within three months of acceptance. This means an accepted manuscript (or final author version) of a paper will need to be deposited to comply with this policy. Sometimes authors are unsure as to what constitutes an accepted manuscript. 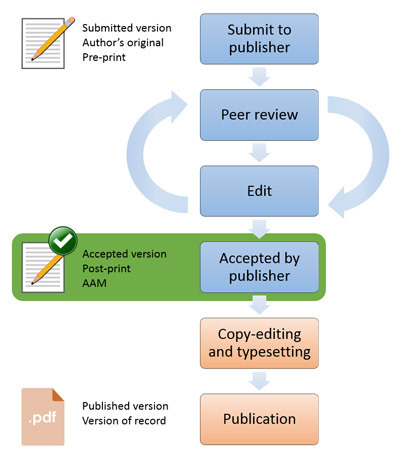 To help with this we have created a guide (see below) which highlights the key differences between an accepted manuscript and a final published version of an article. As the name suggests, this is the final version of an article which can be found on the journal website. 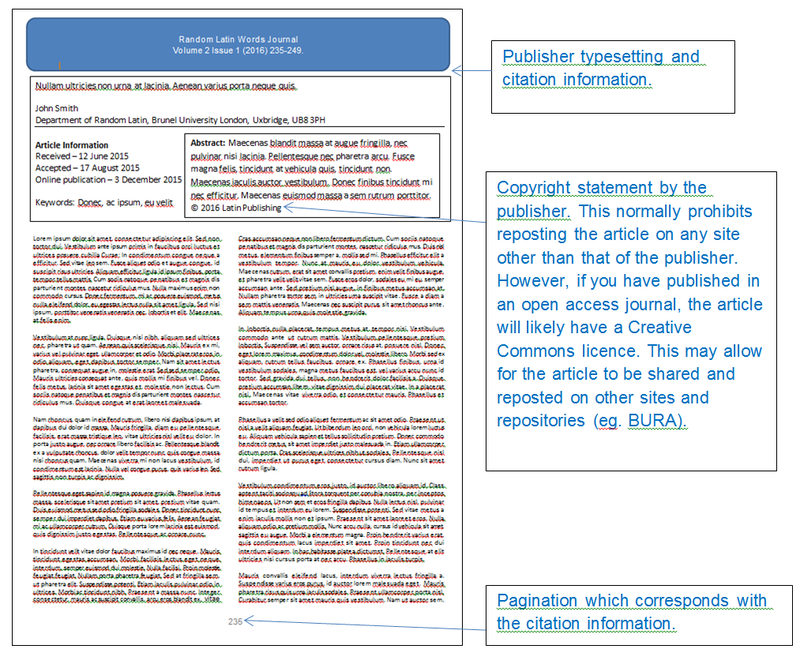 Normally, the final published version cannot be archived on BURA unless you have published in an open access journal or have made the article open access through an application to Brunel’s Open Access Publishing Fund.